Home > About Jack Hirose & Associates > Our Faculty > John Briere, Ph.D.
John Briere, Ph.D., is an Associate Professor of Psychiatry and Psychology at the Keck School of Medicine, University of Southern California, and Director of the USC Adolescent Trauma Training Center of the National Child Traumatic Stress Network. A past president of the International Society for Traumatic Stress Studies, he is recipient of the Award for Outstanding Contributions to the Science of Trauma Psychology from the American Psychological Association, the Robert S. Laufer Memorial Award for Scientific Achievement from ISTSS, and the William N. Friedrich Award for Outstanding Contribution to the Field of Child Psychology, from the Mayo Clinic. 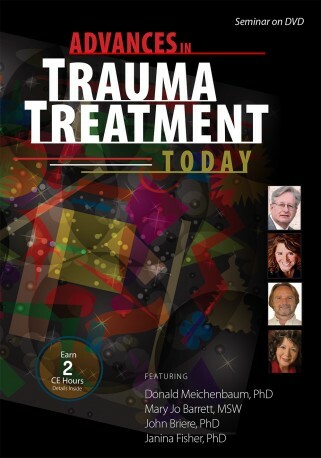 He is author or co-author of over 120 articles and chapters, 15 books, and 9 trauma-related psychological tests. At USC, he teaches and consults in the burn unit, inpatient psychiatry, and emergency services. Products featuring John Briere, Ph.D.